Top quality web hosting at very affordable prices. Looking for a great New Zealand Auction site? Try this one! Here you will find answers to some of the more commonly asked questions about micro helis. I've put some common ones in for starters, and will add more as time allows. 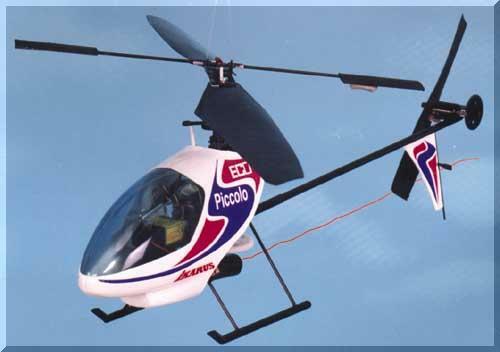 There is no real 'official' definition of a Micro Heli. I guess I'd classify it as a radio controlled helicopter capable of being comfortably flown inside the average living room. Obviously this is going to require electric power as the noise and smell of an internal combustion powered machine is going to cause some severe domestic disharmony :). Please note that this doesn't preclude flying micros outdoors. Most micro helis today can be flown outdoors on calm days. With a good pilot, the more advanced machines are even capable of being flown in winds of around 10-15 mph ( 15-20 kph). From a practical point of view for living room flying, size is limited to around a 600mm (24") rotor diameter. Most commercial models are around 500-550mm rotor diameter, with weights in the 200-300g range. There is also a new generation of sub-micro helis coming online now with rotor diameters of around 300-350mm and weighing just over 100 grams! It really depends on where you are coming from and how far you want to go. If you are starting as a total beginner with no existing equipment, you will probably be looking at somewhere between $500 and $1000 NZ for a complete entry level setup of MicroHeli, Radio gear, electronics, battery and charger. This is a good recommended start point for anyone. An entry level setup will get you flying OK, and you can always add on the top quality equipment and 'hot' modifications at a later date. If you are already a Radio Control model enthusiast, then you may be able to get into Micro-Helis a bit cheaper. For entry level Micro Helis, any reasonable 4-channel transmitter will do the job, and if you are already into 'indoor' radio controlled aircraft or park-flyers, there is a good chance that you may have suitable servos and receivers on hand already. Check with an existing Micro Heli flyer or drop a message on our messagboard if you are unsure if your gear is suitable. Like any sport or hobby, at the top end of the scale, the sky really is the limit! For instance you can pay $400 to $500 NZ for a top quality battery charger. 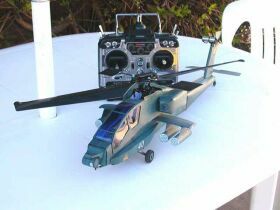 A brushless main motor along with its speed controller will set you back between $200 to $500 NZ, and a good Heli radio control transmitter will cost $600 to $1000 NZ. Personally, I recommend that you hold off purchase this type of gear until later on. There's nothing worse than spending a lot of money on the best quality equipment, only to find that six months later, the hobby isn't really your cup of tea. How hard are they to fly? Oh boy! This has to be one of the most subjective questions of the lot. Be it Micros, normal size radio-controlled, or the full-size real thing, flying helis is a difficult thing to learn. Unlike planes, boats, and cars, a helicopter has no inherent stability at all. What this means for you as the the pilot, is that you have to fly the heli full time. In a hover for instance you are constantly making minute adjustments to all four flying controls. This is literally a full time job. A good analogy that is often quoted is that "it is like holding a piece of glass with a marble on it, and trying to keep the marble in the centre of the glass". Try it with a marble and an oven tray or similar and you'll soon get the idea. Another difficulty with flying helis is that not only are all four controls primary (i.e. they all have an instant and marked effect on flight) but also all four controls interact with each other. So a change in one control will have an effect that requires manipulation of one or more of the other controls. It's a bit like "rubbing your stomach and patting your head at the same time" x4. OK having put you off completely <GRIN>, here's the good news. In the past four years or so that I have been involved with this hobby, I have personally seen at least 6 people learn to fly, and none of them have failed. I've also 'seen' hundreds of new flyers come through on the Ikarus Piccolo BBS, and I can think of maybe five out of all of those that have ended up giving up. The most important attribute you need to succeed in this hobby is patience. If you have that, and keep it it no matter how bad things seem to get, then you will succeed. At this point, most 'newbie' articles will start to go on about how you *must* join a club, train with someone experienced, use a buddy box, use a simulator etc. etc. etc. In all fairness, that is all good advice, and if those options are open to you then take them for sure. But, don't ever let anyone tell you that it can't be done on your own. Most of the Micro flyers I know have gone the 'lone' path and succeeded, so yes it is possible. The path will be somewhat longer, more twisted, and more crash ridden this way. And you should still seek advise if you are unsure, but believe me, as long as you have the right attitude, and enough money for repairs, you can do it yourself. Please note that I am talking about MICROhelis (sub 600mm rotor diameter) above. If you are looking at the larger IC or electric powered machines, then I would agree with the advise given in the first sentence completely. Larger helis are downright dangerous, and you really should have an 'expert' involved, even if just to check your heli over and give it an initial test flight to make sure all is well. How long / high / fast / far can they fly? We'll deal with flight duration first as it's the easiest to quantify. Flight duration depends on a number of factors, the weight of your heli, how well it is built (gears, links not too tight etc), and what type of batteries and motor you are using. I've listed rough average flight times below for a 'typical' Micro using the three main types of batteries. I've also included an indicative charge time for the pack, based on using good quality cells and a reasonable charger. Nickel-Cadmium (Ni-Cad) Cells - Three to sIx Minutes flight time - Most flyers seem to average around 5 Minutes per flight - Battery pack will take approximately 15 minutes to charge. Nickel Metal Hydride (Ni-MH Cells) - Seven to twelve minutes flight time- Most flyers seem to average around 8 Minutes per flight - Battery pack will take approximately 30 minutes to charge. Lithum Polymer (Li-Poly) Cells - Fifteen to forty minutes flight time - Most flyers seem to average around 25 Minutes per flight - Battery pack will take approximately 40 minutes to charge. Looking at speed next, I've never seen a conclusive speed test on Micros. From pure observation, I would estimate a flying speed of between 50 and 80 Kmh (30-50 mph) going flat out in level forward flight. That may not sound like much, but I can assure you that it is very quick when you are trying to control a tiny little helicopter belting around the sky. Maximum altitude is best described as 'out of sight'. Once again I have not heard of any definitive tests being made, but I do recall that we had a flyer on the Ikarus BBS whose home town was 2000m (6000ft) above sea level. He was able to fly his Piccolo successfully at this altitude, so we'd have to say that the maximum altitude is something above that. Distance is governed by your radio control equipment and your eyesight. In good conditions, most modern radio gear has a ground to air range of around 1Km (.6 miles). The thing you have to remember here is that you are dealing with an aircraft that is only 24 inches long. At 150m you'll find that the Micro has become a dot in the sky and it becomes very difficult to judge which way the aircraft is facing. I think that once again we can say here that the aircraft's ability to fly distance exceeds your ability to see and control it. The Auckland Microheli Pilots Group is now forming. Auckland Microheli Pilots Group Website. 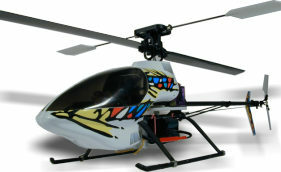 Special offer for all Micro-Heli pilots and Enthusiasts! 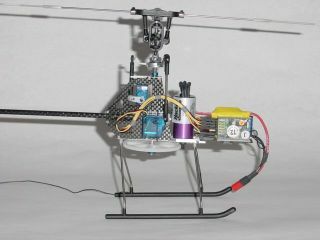 Own your own micro heli web site with an exclusive YourChoice.MicroHelis.com domain name. Prices start from as little as $1.00US per month! 25% Discount Available for MicroHeli Sites. 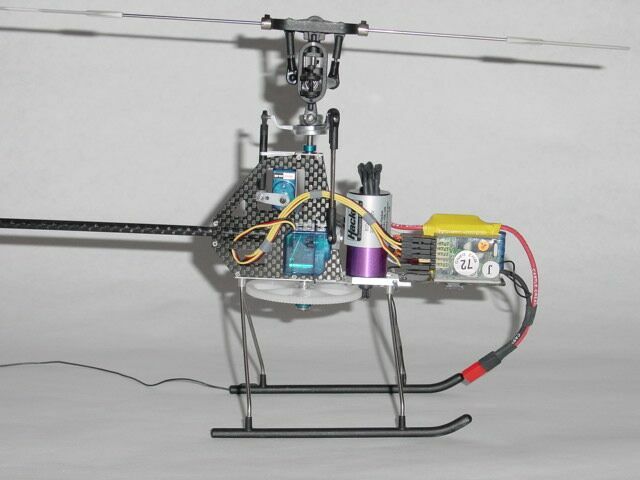 Build a great Micro Heli Web Site and WIN a FREE plan upgrade and FREE hosting for a year! See our new Micro-Heli Web Hosting Page for more details. 15/01/2004 - Modeltek about to release card AH-64 Apache! See the News section for more details. 03/12/2003 - MS-Composit Hornet II MicroHeli now available! See our News and our Brands and Models sections for more details.